The sectors she likes in Asia include internet/e-commerce post-selldown as well as those that benefit from domestic consumption and government stimulus policies. In Asia, the fund house is overweight on Asean markets compared with North Asian markets, given their domestically driven economies, which are less impacted by the US-China trade war and slowdown in China. However, this position is tactical and the fund house is constantly monitoring the liquidity environment for signs of change. Kenanga Investors sees value emerging in Malaysia as certain stocks have been sold down excessively. They include those in the technology, oil and gas and construction sectors. The fund house also expects certain situational plays to arise out of the government’s reform initiatives. “For Malaysia, we have adopted a barbell strategy by having a selection of defensive stocks and a selection of value stocks. Thus, the portfolio should be able to benefit from technical rebounds while maintaining an overall defensive stance. Defensive stocks include those that offer good dividend yields with stable earnings and cash flow,” says Lee. Last year, the MSCI Asia Ex-Japan tumbled more than 16% in US dollar terms while in Malaysia, the FBM100 and FBM Small Cap Index fell 9.3% and 33.7% respectively. So, Lee advises investors to adopt a trading approach, which could help them take advantage of sold-down stocks while remaining nimble to take profit when markets rebound. Lee says investors should not only adjust their investment portfolio according to geography but also consider adjusting it by asset class going forward. 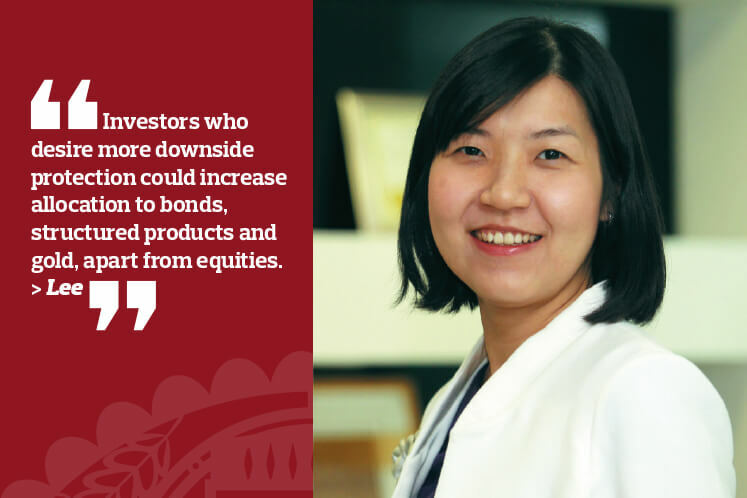 “Equities, even in safe-haven destinations such as Japan and Germany, could be correlated to the global markets due to the high percentage of export-driven companies on their stock markets. These include automotive and capital goods companies in Germany and Japan, which are dependent on external demand. Lee says volatility is expected to persist going forward. The US-China trade talks remain the top focus for most investors, she adds. Following the announcement of the trade truce, there has been little news on the outcome of the negotiations except for China Vice-Premier Liu He’s scheduled visit to the US for further trade talks.